Comments: Wishing to revive the pure Christianity of earlier times, a group of local Baptists broke away from their church in the early 1830's. They formed the Disciples of Christ or Christian Church in Scottsville and chose as their first minister, Dr. James Turner Barclay. Although Dr. Barclay was a trained pharmacist and medical doctor with offices in the Barclay House on Main Street, he was an ardent believer in early Christian simplicity. His strong religious convictions led him to preach the gospel, and Barclay worked closely with Church Elders Thomas Staples and George Tyler Goodwin, Sr. on religious matters. 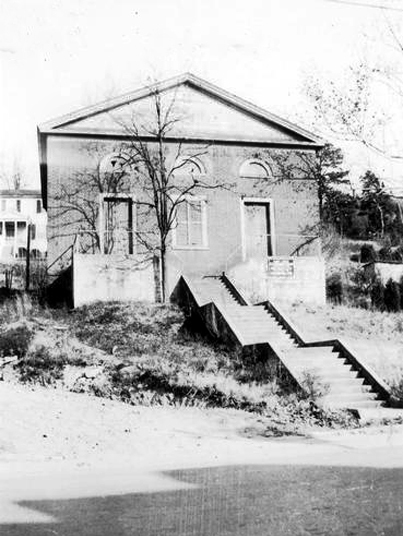 On 23 June 1846, John and Emily S. Tyler conveyed the property on Main Street, on a hill overlooking the James River to its south, to "the church of Christ worshipping at Scottsville." This land was conveyed for $1 to the following church trustees: Thomas Staples, Reuben Coleman, George W. Coleman, John S. Martin, William C. Harris, and John Tyler. In 1846, the Disciples of Christ congregation built their Church, and Barclay himself built the pews and altar. Dr. Barclay continued his ministry and lived next door in the Barclay House until 1851 when he went to Jerusalem as his Church's first missionary. After three years in Jerusalem, Dr. Barclay returned to America and wrote a book, The City of the Great King. In 1854, President Pierce appointed him to the Philadelphia Mint to determine ways to stop counterfeiting as well as coin deterioration. In 1857, the Barclay family went back to their Jerusalem mission for eight more years. 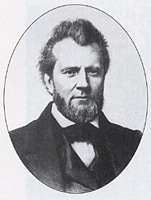 When they returned to the United States in 1865, Dr. Barclay became Professor of Chemistry at Bethany College until his retirement. The last living member of the Disciples of Christ Church was Mrs. B.D. Davis who had also served as a trustee of the church; Mrs. Davis passed away in the mid-1950's. 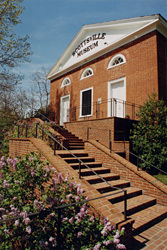 The Disciples of Christ Church now houses the Scottsville Museum, which was dedicated on July 4, 1970, and is pictured at right. Next door at the Barclay House, Scottsville Museum maintains its resource center for historical and genealogical research. The photo above is part of the Historical Inventory Report by R. E. Hannum for the Works Progress Administration of Virginia; Record No. VHIR/02/0057 applies at the Library of Virginia, Richmon d, Virginia.